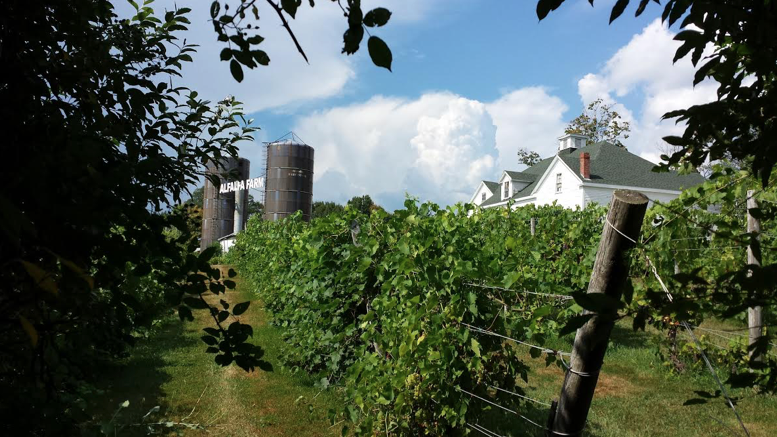 In 2013, Alfalfa Farm Winery in Topsfield, Massachusetts began testing Holganix Agriculture on their four French-American grape hybrids to see if they could increase brix index and yield while utilizing a sustainable agriculture approach. The results they saw were better than Alfalfa expected. Originally a dairy farm, Alfalfa Farms Winery was purchased by Richard Adelman 38 years ago when the dairy farm went bankrupt. “We raised beef cattle and horses. In 1995 we planted the grapes,” explains Richard. 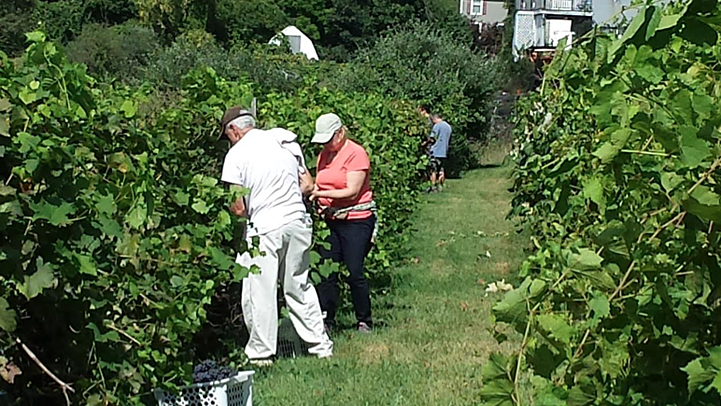 In order to maintain production, the farm counts on their list of 200+ volunteers to help with harvesting, pruning and, of course, the occasional quality control taste test! “We grow four grape varieties,” explains Trudi, “All are French-American hybrids.” Their white grapes include Seyval Blanc and Aurore (similar flavor to a Suvignon Blanc) and their red grapes include the Leon Millot and Marechal Foch. While utilizing Holganix Agriculture blend, Alfalfa Farms Winery saw an increase in degrees brix of 9% in 2014 and 44% in 2015 compared to the control. The brix index is the measurement of natural sugar in a fruit, which is an important measurement because sugar acts as a food source for microorganisms. An increase in brix thereby leads to an increase in yield and better, more rapid fermentation of the grapes into wines. “To be successful in wine-making,” explains Trudi. “The degrees brix should be as high as possible. Ideally, a reading well into the 20’s is desirable.” To determine optimal harvest time and quality of the crop, a formula takes into account the degrees brix and pH level among other key metrics to plant health. Alfalfa Farm Winery also reports a 55% average increase in yield in their Sevyal Blanc, Leon Millot and Marechal Foch from 2013 to 2015. Ultimately, because of the increase in yield, Alfalfa was able to boost production of their wines. 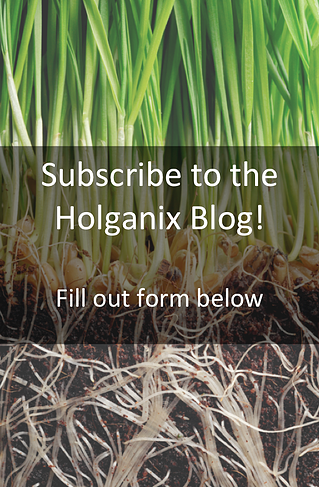 Trudi notes that in addition to Holganix Agricultures, the severity of the winter in past years could have also led to an increase in crop yield. “Since the application of Holganix treatment, the brix index has increased by an average of 26% compared to the control in 2014 and 2015 and the yield from the vineyard has been increasing from year to year,” says Trudi Perry, Winemaker and Event Coordinator at Alfalfa.